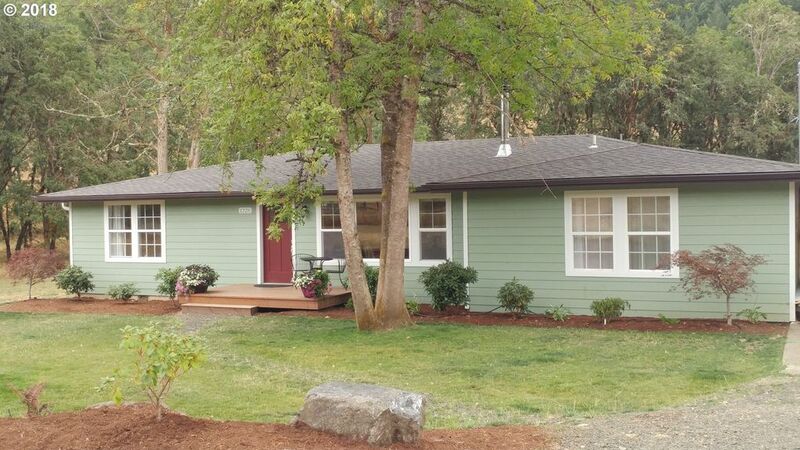 Remodeled 2000 sq ft home on 26 acres. Has new roof, updated kitchen with granite and new cabinets, new windows, upscale appliances, new laminate & tile floors, New wood stove, New bathroom fixtures, vollyball court, 3 stall barn great for horses, shop, 2 large ponds with irrigation, new landscaping, creek in the back with bridge to cross over to nature trails where 6200 trees were replanted. Must see this gem.